Get yourself noticed with custom printing and embroidery. Abolox® can personalize your gear by custom printing your name or logo onto many types of articles. If you have other types of items that you would like to have custom printed, please ask Abolox® first, as we may be able to do it. 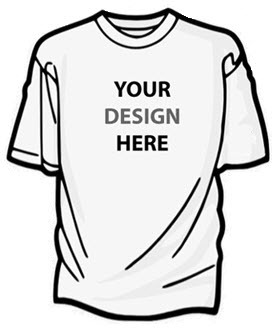 There are two sets of fees for custom printing. One is the setup fee and the other is the print fee. SETUP FEES - All print jobs require a one-time setup fee to produce the physical screens that go into the printing machine. The amount of the fee varies by the type of article to be printed, the number if images (or locations) to be printed and the number of colors used. A fee will be accessed for each print screen that is required to complete the print job. The setup fee is applied only to the first order of any print, and once the template has been made, you can reorder additional prints without a setup fee going forward. PRINT FEES - This fee covers the cost of the labor and materials to make the print on your article. The print fee varies by the type of article, number of locations where a print will be made, and the number of colors that are used. Most print jobs can be completed within one to two weeks from the time where Abolox receives the approved proofs from the customer. If all you have is JPG, BMP or PDF, Abolox can sometimes can convert those files to vector format for free. But if your logo is not a simple design, Abolox may require an additional fee for a graphics designer to create the artwork for you. If your print job is standard block text only, then Abolox will make the image file for you for free. You need only provide the spelling of what you want printed. Decide on which product(s) you want to print on and what you want printed where. Email the images or logo files to info@abolox.com requesting a quotation. Either call Abolox customer service, or wait for a response from the email, to discuss the details of your print job. Customer service will enter the print order and take your payment information. Usually within one business day from the time the order has been entered into the Abolox system, you will receive an email with a proof of what the print job will look like. You will need to print out the proof, sign it, and return the signed proof to customer service. Once the signed proof has been received by Abolox, your credit card will be charged and the items will be sent to the print shop for printing. Once the custom print has been made, Abolox cannot take the item back except to correct any mistakes to the order. Allow up to one to two weeks for printing (most time required during peek seasons of early summer and early winter). As soon as the items are printed, they will be shipped to you and a tracking number will be emailed to you so that you can track the shipment. Please contact Abolox® at (321) 610-1896 or info@abolox.com for a quotation on your custom print job.